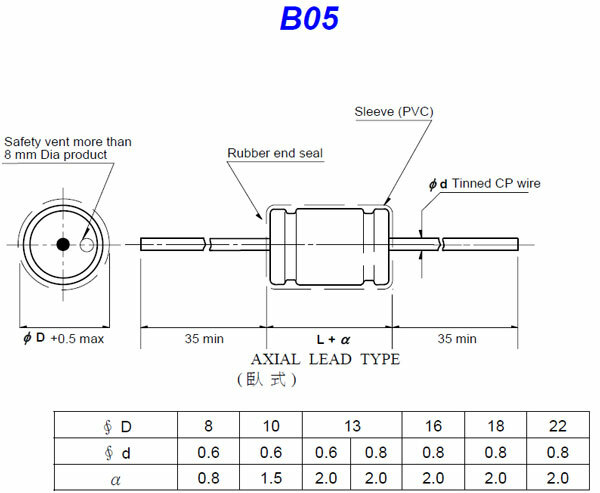 Load Life: After 1,000 hours application of rated voltage at 105 ±2℃, capacitors meet the characteristics requirement listed below. With professional experience since 1980, M.D.L. 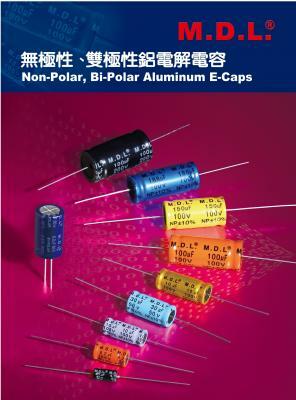 has manufactured cross-over networks, accessories & components, including Axial type Aluminum Electrolytic Capacitors of extraordinary quality for all your vital applications. Reliable quality Non-Polar series of M.D.L. is produced for cross-over networks with high fidelity audio system and the small capacitance deviation is the main feature from all excellent characteristics. Various components for speaker system are available.